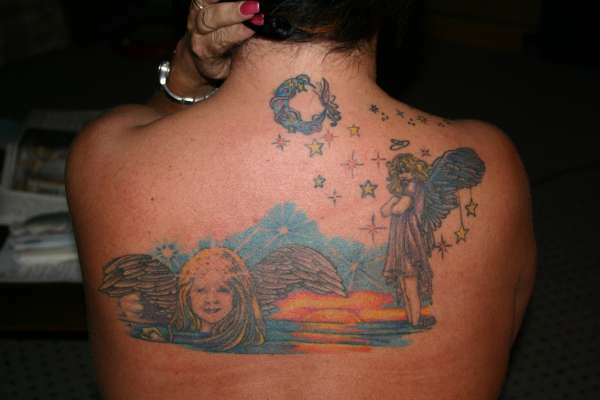 I started out with the Angel on my right shoulder which depicts my oldest daughter. Then had the other one done for my youngest. Joining the two together with the sunset made it complete. do you have this tattoo on other sites?? iv seen it loads of times on diffrent sites? ?